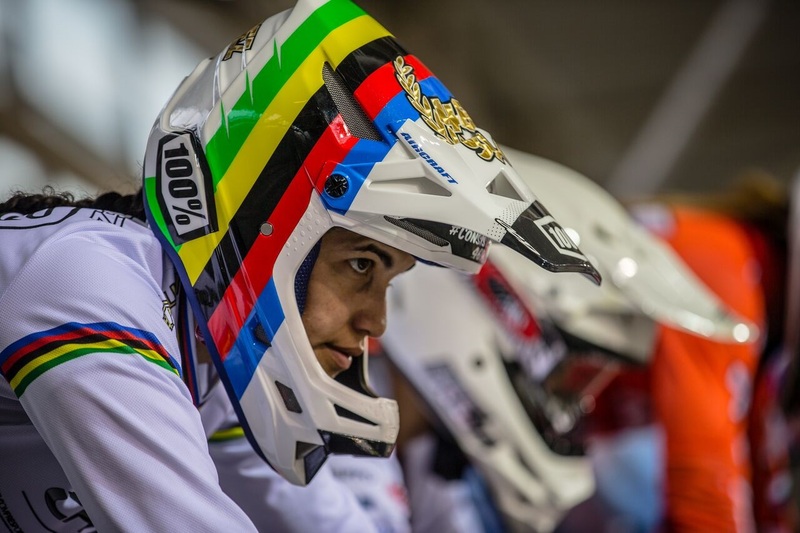 Stefany Hernández is a Venezuelan athlete who has just won the bronze medal of women’s Individual BMX Cylcing in the Olympics Rio 2016. She is also a graduate of a Fe y Alegría school, a network of Jesuit primary schools throughout Latin America, Caribbean, and Africa, serving children from families facing stark economic poverty. Editor’s Note: Stefany won the Bronze Medal – Read more via Washington Post. “I recently visited my school, Escuela Básica Virgen Niña de Fe y Alegría Puerto Ordaz, and I was happy to hear that my physical education teacher at the time still remembers the day I came to school excited to share with my classmates the news that BMX was declared an official Olympic sport. I cut out the article from the newspaper, stuck it all over the school and told my classmates: I’m going to win that gold medal.” In 2015, Stefany represented Venezuela in the world championship and was crowned BMX World Champion; and today, the Olympic Games are awaiting her, every day her Olympic dream is a bit closer. Stefany was born in Puerto Ordaz, Venezuela 24 years ago, and is the youngest daughter in a family of 3 brothers and sisters. Stefany now lives in Aigle, Switzerland at the world cycling center with 6 other BMX youth who also dream of becoming Olympic medalists. Meeting and listening to Stefany is to be in touch with the identity of Fe y Alegría, it allows us to recognize and experience that education empowers and gives people the ability to dream, to fight for their goals. Stefany and her companions train hard, 4 to 6 hours in the mornings and afternoons, regardless of the weather. They train with determination, passion, and with the certainty that only by striving to bring out the best in themselves can they achieve their goals. This is why she doesn’t stop; she knows that her strength is formed through discipline, courage and self-awareness. When Stefany goes home to Venezuela, she wants to feel the warmth and strength that Fe y Alegría offers. She wants to share with children and youth at the Fe y Alegría’s around the world about her experience and what it meant for her to go to a Fe y Alegría school. Fe y Alegría is an international non-governmental organization, with over six decades of experience providing quality, inclusive popular education to the most vulnerable communities in Latin America, the Caribbean and Africa. Fe y Alegría was first started by the Jesuit priest José Maria Vélaz on the outskirts of Caracas, Venezuela in 1955 and has grown to currently work in 21 countries, providing education programs to over 1.5 million individuals. The Office of the International Federation is based in Bogotá, Colombia.